Of course it was, and we both smiled and spent the next 15 minutes (and lots of time thereafter) talking about all the things we loved about the record. Indeed YHF is one of those records that once you get it, you just can’t stop listening to it, and my bet is that Jesse, like me, listens to it more often than he can remember. Wilco comes from a niche area of alternative music often dubbed Alternative country or Americana. If you are a mainstream radio listener, it’s unlikely that you’ve heard much of their music. But their founder Jeff Tweedy, and many of the musicians that have performed with Wilco over the past 16 years or so, are among the bona fide heroes of the indie music scene. Tweedy began experimenting with his musical orchestrations with the 1999 Wilco release Summerteeth, moving away from country sounds toward more lush pop arrangements (or as one reviewer put it, replacing fiddles with violins), and making it, in the opinion of many, Wilco’s most tuneful and sonic album to date. When they entered the studio in 2000 to make what ultimately became YHF, the pressure was on to create a truly commercial version of Wilco. The band’s record label, Reprise, believed the mission was clear. Tweedy and his bandmates holed up in a loft in Chicago and, in line with the initial vision, wrote a phenominal collection of acoustic guitar pop songs. Through the recording process and, I believe, the influence of an active experimental prodcution scene, spawned in part by Radiohead’s Kid A, the band pulled each of these songs apart, adding experimental beats, riffs and structures, but maintaining the underlying melodies and poetry. The outcome is a tuneful Kid A-esque Amercana record that’s highly original and listenable. Reprise (read: evil, stupid record label), did not see the album that way at all, going as far as to say that they believed the record would kill Wilco’s career, refusing to release it and instead selling the record back to the band for $50,000 as part of dropping them from the label’s artist roster. In an odd twist of fate, Wilco first self-released the record digitally over the Internet, and then released it physically through Nonesuch Records, a division of Warner Bros Records, the parent company of Reprise (meaning Warner Bros actually paid for the record twice). The album went on to become a fan favorite, selling over 400,000 copies. 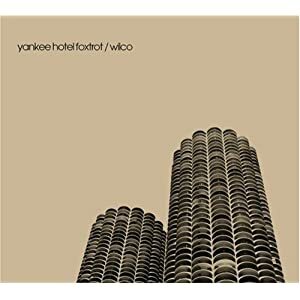 Yankee Hotel Foxtrot is number 2 on the list of my favorite albums of the decade because I believe it is simply the most innovative record by a categorized alt-country band that I have ever heard. It’s catchy, poetic, experimental and memorable. It launched Wilco’s leader, Jeff Tweedy, into a decade where he felt challenged to try to top it, and, although I believe he never did quite top it, Wilco released 4 other fantastic records this past decade that get regular play in the Krupa household (namely: A Ghost is Born -2004 – Grammy Award Winner: Best Alternative Music Album, Kicking Televsion: Live in Chicago – 2005, Sky Blue Sky – 2007 – Grammy nomination: Best Rock Album and Wilco (the Album) – 2009 -Grammy nomination: Best Americana Album). The indie film I am Trying to Break Your Heart captures the entire drama surrounding the production and eventual release of YHF, including Tweedy’s conflicts with Reprise and the ascension of the tension between Jeff Tweedy and bandmate Jay Bennett that eventually led to Jay’s exit from the band. Jay Bennett, Jeff Tweedy’s primary collaborator on YHF died on May 24, 2009, at the age of 45, apparently from an accidental overdose of the painkiller fentanyl. Jay struggled to build a successful solo career in the years following his release from Wilco. Being There – 1996, Wilco’s other masterpiece of the 1990s demonstrates the essensnse of the Americana sound. The 1990s is an era some believe to be the band’s best, where lush, catchy, poetic music dominates and production and rhythmic experimentation dwells in the background. Jeff Tweedy along with Jay Farrar were the original partners/founders of the punk/country band Uncle Tupelo, which disbanded around 1993. My favorite Uncle Tupelo album, titled simply March 16-20, 1992, and produced by REM’s guitarist Peter Buck , demonstrates the transition from Uncle Tupelo’s punk/country hybrid to the more atmospheric and poetic sound Tweaty ultimately adopted when he left and formed Wilco. For those interested in exploring Uncle Tupelo, I recommend this album and the 89/93 Anthology collection. Also, Jay Farrar, known for his outstanding vocal skills, went on to form his own band Son Volt. As with all great bands, there is a case against Wilco, usually presented by music journalists that believe the band is just not alternative enough. This piece, titled “What’s So Great About Wilco?,” captures this sentement, for those interested. I was an investor and board member of my friend Marc Geiger‘s Internet music company ARTISTdirect from 1998 through around 2003. At the time Wilco lost it’s deal with Reprise Marc advised the ARTISTdirect board to sign Wilco and release the record. Unfortunately Wilco selected Nonesuch as its new label, but I credit him for knowing a great indie record when he heard it. Just another one of those “I told you so” moments, so common in the music industry and in investing. For those interested in a more pure form of alt-country music, this past decade belonged to one Lucinda Williams. Lucinda released three very special records, World Without Tears, West and Essense, the latter being my favorite of the three. Also look for alt-country hero Ryan Adams later as this list develops (kudos for those that guess which of his albums makes the list).